Then it’s time to pay a visit to the DENTIST. While traditional Dentistry focuses only on teeth and gums, Neuromuscular dentistry focuses on the harmonious relationship of the teeth and gums with the masticatory muscles, tempero-mandibular joints and nerves which together forms the masticatory system. If there is disharmony in any part of the masticatory system, all the other parts get affected. Neuromuscular Dentists are concerned with the entire functioning of the mouth including chewing, swallowing, speaking, biting, yawning, singing etc. Dentzz has been one of the pioneers of neuromuscular dentistry in India. Neuromuscular Dentistry deals with correcting the bite and aligning the jaw; to put it in simple words, Neuromuscular Dentist puts the jaw in its optimal position, thus relieving the symptoms associated with TMD (Tempero Mandibular Disorder). The above problems are the manifestation of a BAD BITE! So what is a good bite? When you bite, all your teeth should touch together at the same TIME. All the teeth should apply the same FORCE. The force of the bite should be evenly distributed. The muscles of your head and jaw should be in relaxed or rest position while the teeth are separate and should evenly work together without hyperactivity when the teeth are clenched together. 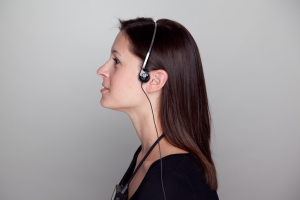 The joint (TMJ) should be healthy and comfortable without any sign of clicking, popping or pain. 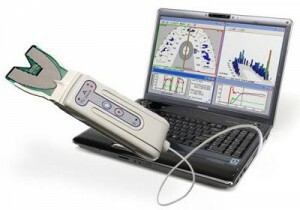 As we know now, that the most important determinant of a good bite or occlusion are factors such as timing, force and location, and the only way to diagnose such problems with extreme precision is by using Hi-End technologies like T-SCAN, JVA( Jaw Vibrational Analysis) and EMG (ElectroMyoGraphy). It is a diagnostic device that records a patient’s bite force dynamics including timing and location of force. Unlike earlier methods of occlusion detection using special papers, waxes and pastes, T-Scan provides absolutely accurate, detailed and reliable information. Thanks to the T-Scan, we are able to detect trouble spots in places where there is contact of the upper and lower teeth which may cause a toothache or headache, sensitivity of teeth, damage of dental fillings, denture rupture, implant failure, gum disease, tooth loss, or temporomandibular joint disorders. 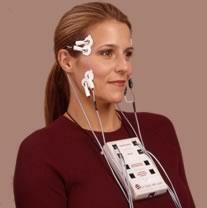 Electromyography is a technique to measure the electrical activity of your masticatory muscles. This technology can be synchronized with the T- Scan to give us detailed and accurate findings and correlation of a bad bite to a sore muscle. It helps us in determining the underlying cause of a muscle spasm, or muscle tenderness or hyperactivity and muscle incoordination if any. JVA is a fast, non-invasive and repeated measurement of the vibrations of the Temperomandibular joint (TMJ), which aids in diagnosing various disorders of TMJ. It is based on the simple principle of motion and vibration. When smooth surfaces rub against each other it produces a little vibration and friction. But when these surfaces become rough, it produces vibrations of different wavelengths, which helps us determine various disorders of the joint. We at Dentzz have mastered the art of using such technologies and we pride ourselves on being the pioneers of Neuromuscular dentistry in India. We have successfully trained various doctors and treated various patients with myofacial symptoms and all other symptoms related to a bad bite. So the next time you are down with a headache, maybe it’s time to visit a ‘NEUROMUSCULAR Dentist’ instead of simply popping a painkiller.